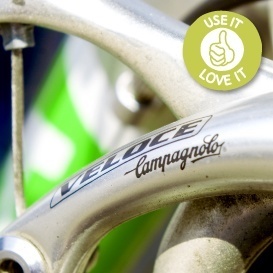 I love Campagnolo. I also I hate it because of the intricacy of the parts, then the proprietary Campagnolo tools, the useless instructions, not to mention their shocking price in comparison to any other brand. Using Campy parts for the first time building my own bike, I couldn’t help but wonder if the overall hassle is a company tactic to keep their name elitist and mainstream cyclists away? My experience with the brand didn’t come without frustration but despite all that, I love Campagnolo. Once riding them, I forgot all about the pain. These parts have passion and life to them. The robustness and the work that’s gone into them are perceivable and the haptics simply indescribable. It feels real, it works.